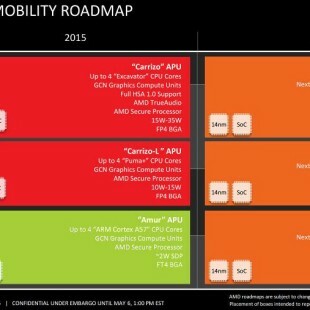 Advanced Micro Devices (AMD) has quietly presented its new Radeon R M400 line of mobile graphics processing units. This line was in the news a while ago but unfortunately the Radeon R M400 will not surprise you much – most of the GPUs in the new line are actually rebranded older AMD GPUs. All in all AMD has presented 11 new graphics solutions but a few more will soon be present. The reason for their absence now is that they will come based on the new Polaris architecture, which is still not available. Regrettably, the available new mobile GPUs from AMD feature older cores such as Bonaire, Tonga, Oland and even Cape Verde. Most of these GPUs came out a few years ago with the Cape Verde GPU being a prime example – the chip powered the desktop Radeon HD 7750 and HD 7770 video cards, which came out four years ago. On the other hand, being that old, the “new” GPUs should not cost that much. 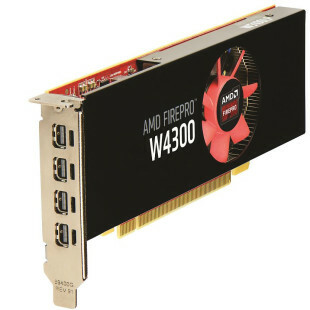 AMD has failed, however, to disclose the prices of the new Radeon R M400 GPUs.